The south-eastern French city of Nice is within a half-hour’s drive of the Italian border and is France’s fifth biggest city. With an official population of 340,000 and being located on the built-up strip that is the Cote d’Azur, it is a large and busy place. A stroll around its attractive city centre quickly gives you clues about its cultural heritage that are writ large in the wide 19th-century boulevards, grand piazzas and narrow streets with yellow ochre walls and green shutters. This is by far the most Italian-looking city in France. Formerly part of the Kingdom of Savoy, it only became part of the French Republic in 1860, after a plebiscite in which the people (i.e. the aristocracy, not the ordinary folk) were given the choice of becoming part of Italy or part of France. The great Italian patriot and father of the Italian Republic Giuseppe Garibaldi was born here and a large statue stands in honour of him in the middle of Place Garibaldi – a huge and very Italian-looking square. This is, in short, a city where France blends seamlessly with Italy and the resulting fusion has given rise to an exciting culinary heritage that is as healthy and nourishing as it is important. Apart from Lyon, Nice is the only city in France that enjoys its own official AOC classification for its cuisine. There are four establishments in the city that have been honoured with a Michelin star. 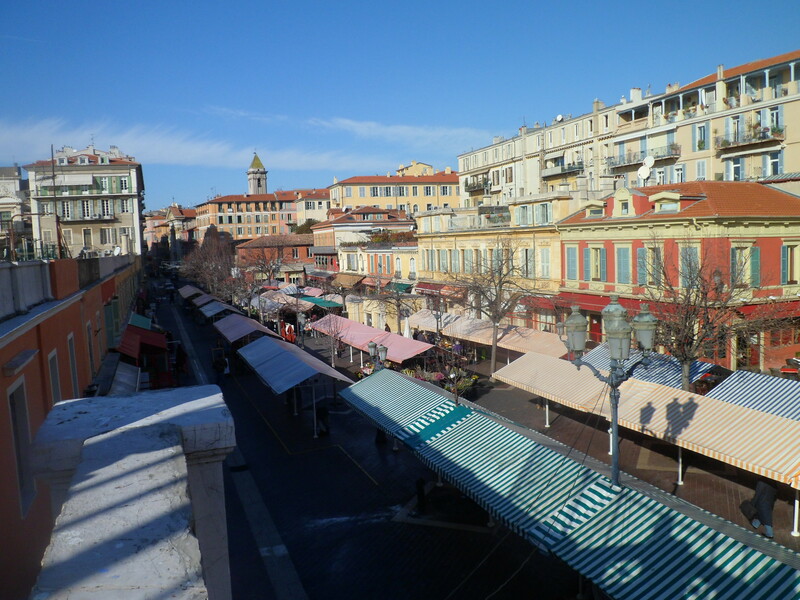 One of the most consistent and popular is “L’Univers” on the broad Avenue Jean-Jaurès that straddles the divide between the “Vieux Nice” and the more modern city built up in the 19th century. It has had one star consistently over the last 12 years. Christian Plumail is owner and head chef of establishment which has been a restaurant under that name as long as Nice has existed as a French city, despite, as he points out, the name of the street on which it stands having changed name three times in the interim. Conor Power with Christian Plumail and a "birthday cake"
On the day I visited, it was full with neatly dressed patrons during a working day. The décor is arguably the most unexciting thing about the restaurant. Not that it’s boring or anything like that, it’s just that it seems to be the one thing missing and the effect of the experience of eating there is all the more powerful for it. Plumail speaks a fluent, clear brand of French-accented English. He sits at our table immediately after the meal, giving the time to talk to an Irish journalist. An energetic 50-something, he manages to give his full attention in an unexpectedly relaxed manner while all the while keeping an eye on the movement in the dining room. From time to time, he gets up to shake hands with a departing guest or to have a quick word with another before rejoining us at our table and seamlessly continuing the conversation where he left off. “For relaxation,” he says, “I run marathons. Every year, I do a few of them – New York, Paris… and here in Nice I’m currently training for the Iron Man Triathlon.” He isn’t joking. In a business where high energy levels and hyper-sensitivity to detail come as standard, perhaps you do need something extreme to achieve balance. In recent years, a lot of reports in the English-speaking press have been talking consistently of the decline in French cuisine worldwide. For many, France is seen as a decaying former world power in the culinary arts – a place where dynamism exists less and less while in other countries, it is on the rise. A few years ago in an RTE radio interview, outspoken chef Richard Corrigan went as far as to say “France is finished!” saying that the shorter working week in France would sound the death knell to the dominance of the French food industry and that the country wouldn’t be able to keep up to speed with faster developers like Spain. The Front Interior of "L'Univers"
In Nice today, there’s certainly no evidence of any culinary decline. The standard of food and service appears to be high in a city whose public have been long accustomed to expecting a certain high level of both. The large numbers of locals patronising the likes of family-run Acchiardo or the slow-food specialists Les Deux Canailles bears testament to this. 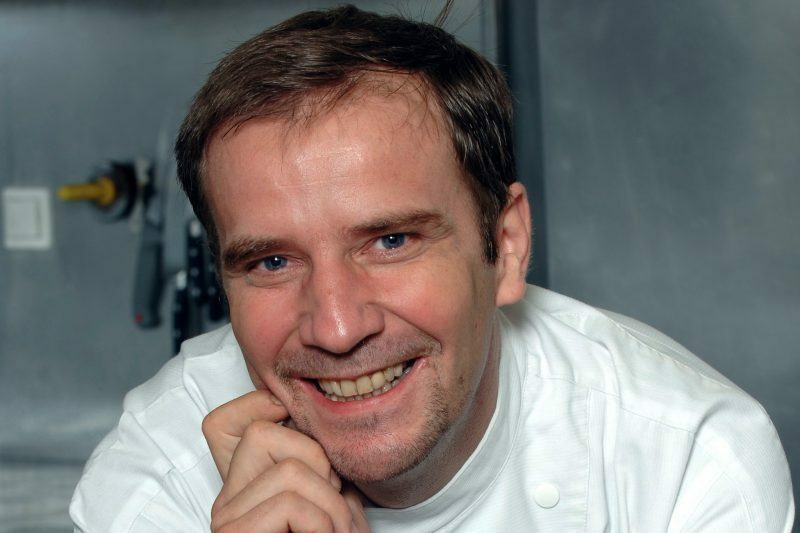 “I think that some well-known French chefs have created a bad impression of French cuisine,” says Plumail when I put the question to him whether or not French cuisine is on the decline. “There has been a certain amount of laziness and taking things for granted amongst certain individuals… the likes of star chefs who are invited out to Singapore or wherever and spend most of their time playing golf. That’s not good for the image of French food abroad. Plumail opened his first restaurant in his early twenties immediately after finishing his military service. 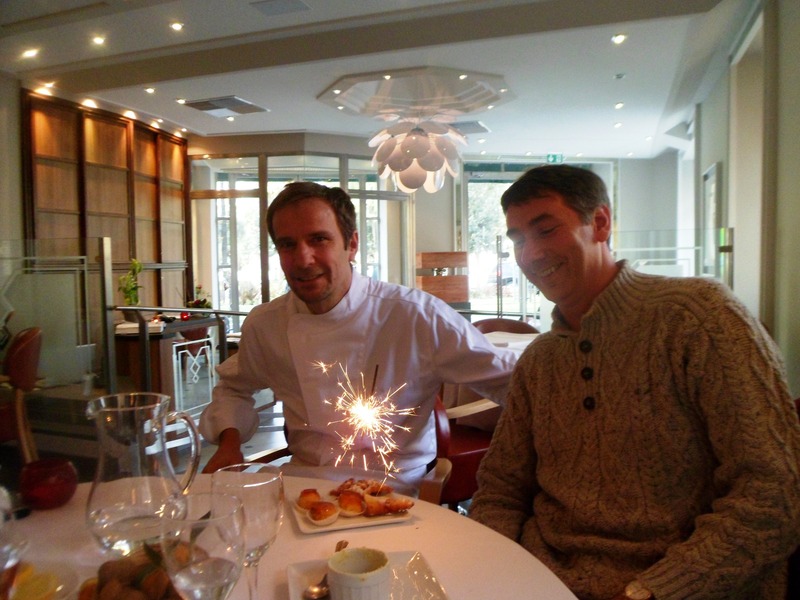 Now a celebrity in this region and in France in general through his restaurant and his regular radio show, the objective is not so much to fly the French flag but rather to focus on doing things right for his customers. As for the future of French cuisine, he firmly believes that despite the behaviour of some top culinary artists, the basic structure that is the basis of the quality and success of the country’s cuisine and catering industry remains intact. The afore-mentioned AOC classification system was established in an effort to clarify and classify levels of quality of agricultural produce, as well as providing information on the origin of produce. It’s a system that has been in place in France since the 1930s and explains in part, at least, why French cuisine is still going strong. Here in Ireland, such systems are a more recent phenomenon and we are now seeing their value in the food and restaurant industries as our own food industry develops in a world where origin and quality are the buzz words that strike the right note amongst the consuming public. The oft-asked question of whether or not the French food industry is or has been in decline is a moot one for the Irish food and restaurant industries. The more pertinent one, therefore, is what we can still learn from a country that has been doing something for many decades that we’re still developing. 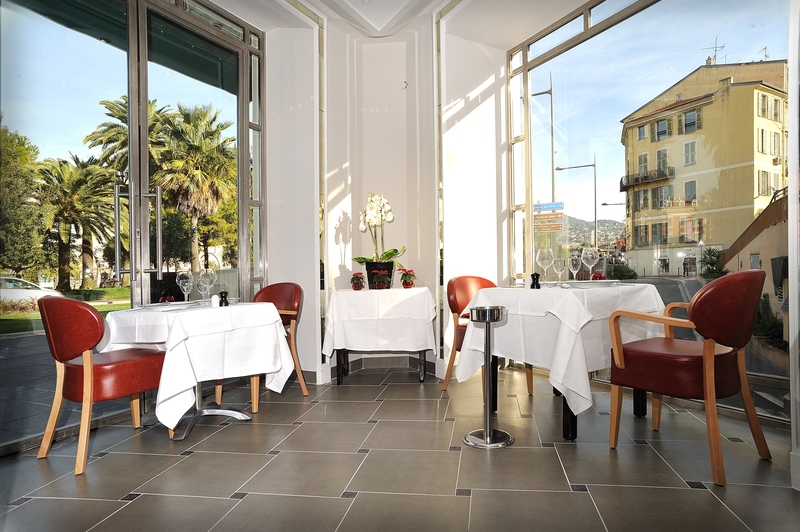 Restaurant “L’Univers”, 54, boulevard Jean Jaurès, 06300 Nice, France. Next Next post: News: The Clash of the Extremes – the Defining Story of Next Month’s Elections? I’m not sure about the position of French cuisine any more. Denmark is the one that’s doing everything now – the best chef in the world and the best restaurant in world. Yes, it’s true that the Danes are the ones in the fore of the queue right now. Everyone tries to be the innovator; sometimes it’s Ireland, sometimes it’s Sweden or whatever. A few years ago, it was Spain. But I think what Christian Plumail says is that France might not be the innovator any more but that no-one else has this sophisticated culture of food like France does. thank you.